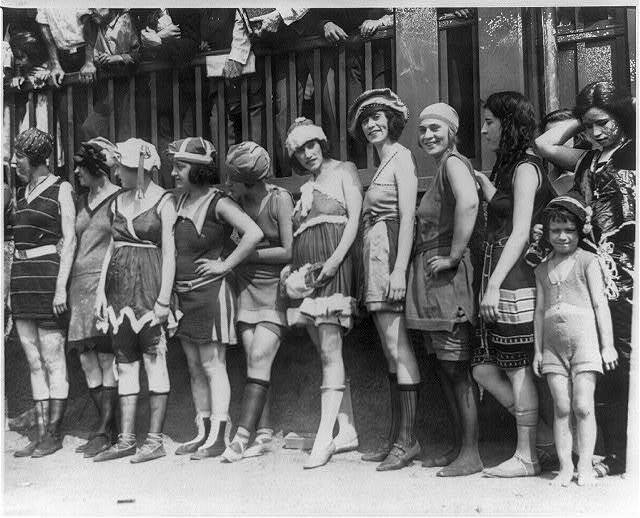 In the process of moving, families often uncover forgotten treasures. 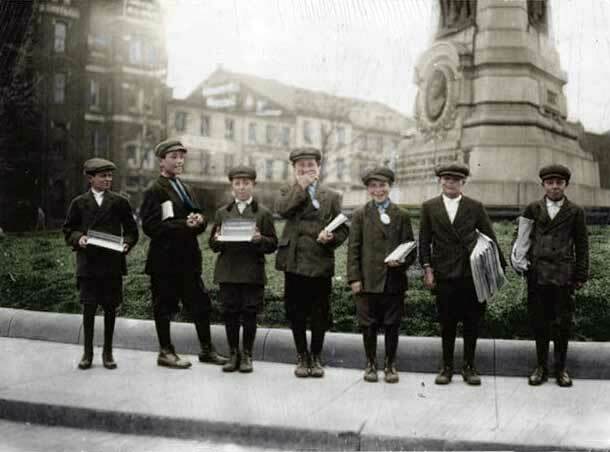 Sometimes, it’s a family heirloom, sometimes it’s an antique, and sometimes it’s old photographs. 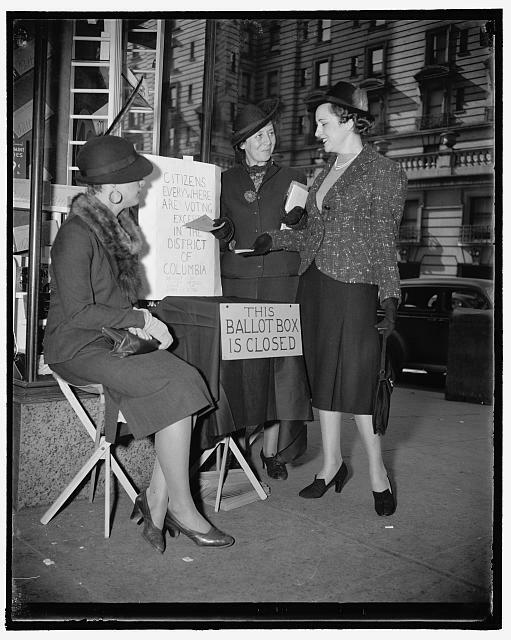 One of the most rewarding services we provide as DC movers is helping people preserve their memories, so we wanted to uncover a piece of DC history and share it all with you. 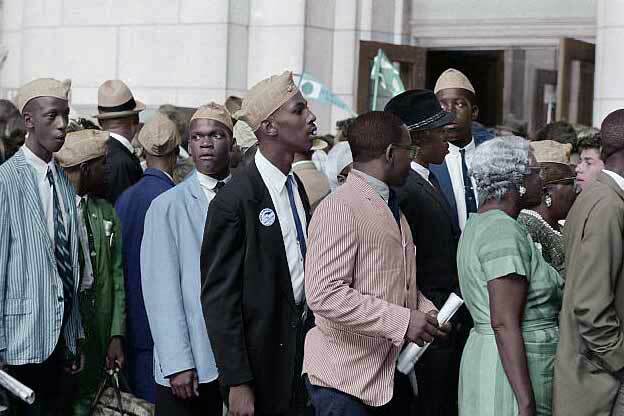 The following are colorized photos from the Library of Congress examining life in the DC region over the last century. 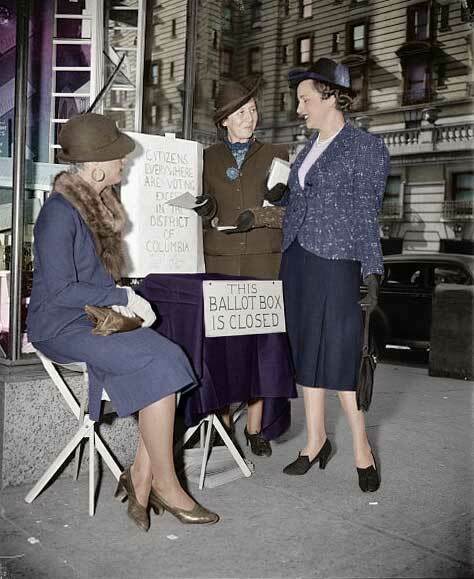 1) November 8, 1938: Members of the District League of Women’s Voters pass out information about DC voting rights at a mock polling place downtown. 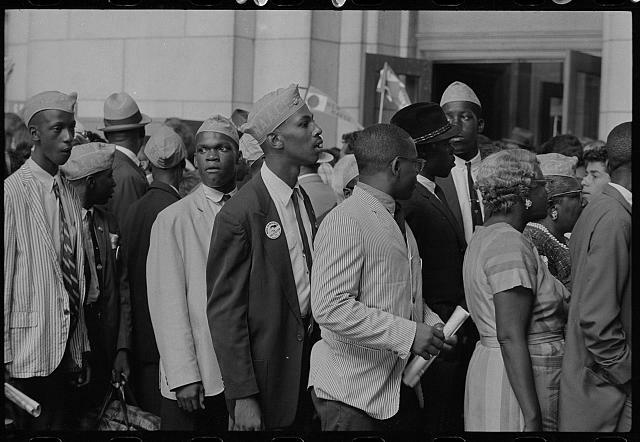 2) August 28, 1963: Young men wearing NAACP caps gather in front of Union Station for the March on Washington. 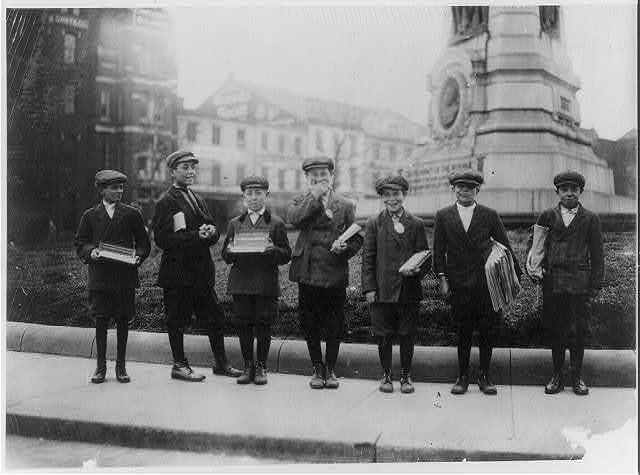 3) April 1912: Boys as young as 11 stand on Pennsylvania Avenue selling newspapers and gum. 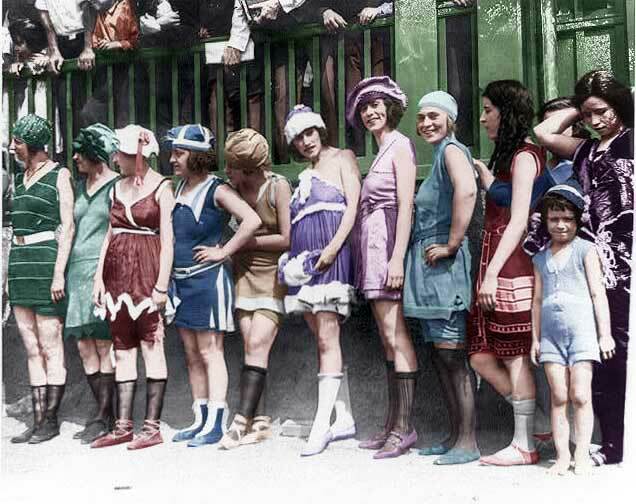 4) Summer 1920: 11 women and a little girl in their bathing suits line up for a beauty contest. 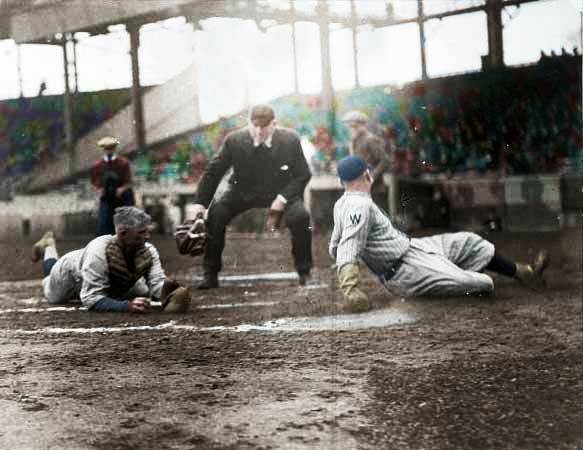 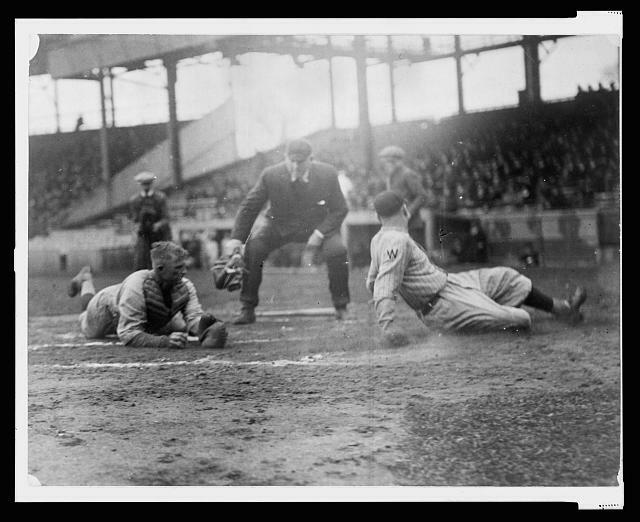 5) 1921: Washington Senators player Joe Judge slides across home plate as the catcher lies on the ground with ball in hand. 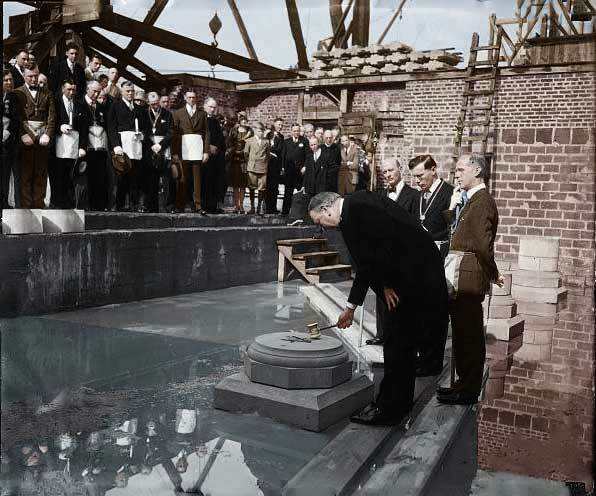 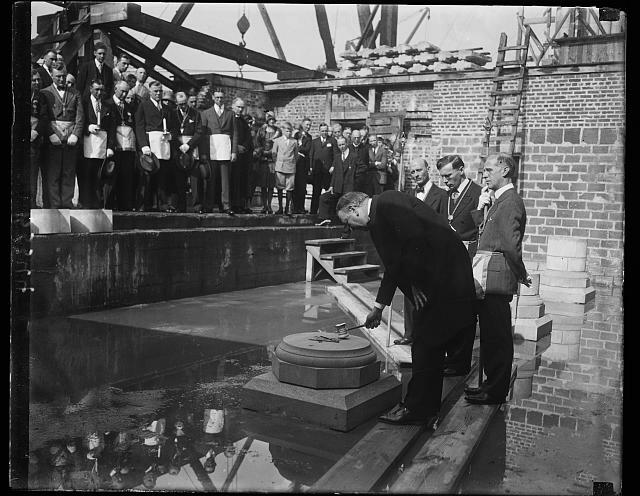 6) April 23, 1929: The Bishop of Washington dedicates a memorial stone to the Washington National Cathedral.